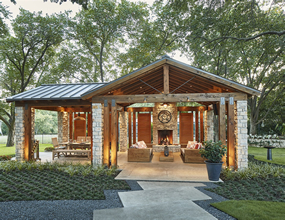 Award-winning remodeling company Capital Renovations Group creates spectacular outdoor living and backyard designs in Dallas. Elements of backyard design such as beautiful landscaping, outdoor pavilions, outdoor kitchens, bar areas, pools and hot tubs, can be wonderful additions to your home. Outdoor living design expands your outdoor living space, deepens your connection to nature and provides welcoming outdoor space for family enjoyment and entertaining.